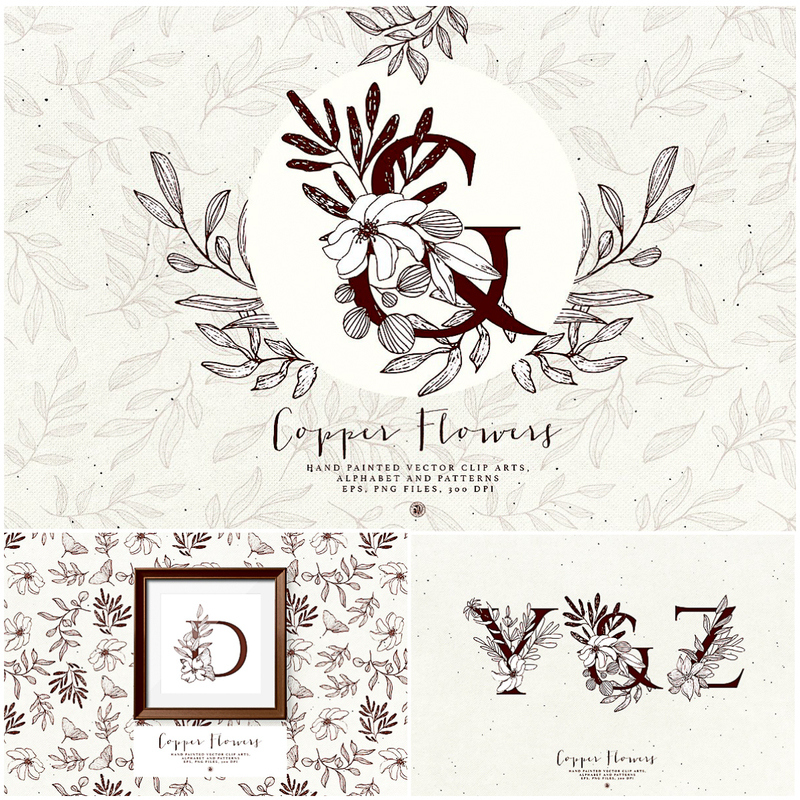 Introducing the Copper Flowers – hand painted flowers eps and png files, letters alphabet and seamless patterns. Ideal hand painted cliparts graphic for DIY projects, invitations, cards, wedding invitations, greeting cards, logos, cases, print design, branding, packaging, posters, wallart, blogs, website, adverstising and more. Tags: birthday, copper, floral alphabet, flower, frame, garden, illustration, letter, love, monogram, romantic, rose, symbol, wreath.